S.U.B. Series family of instruments introduce a new level of quality, features and value for the beginning or intermediate player. Part of the esteemed Music Man & Sterling by Music Man family of instruments, we feel all players should have access to affordable guitars & basses that feel, sound and play like a refined, crafted professional instrument. 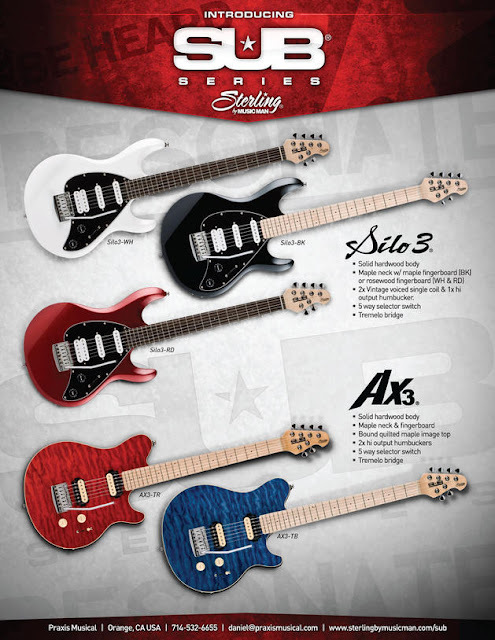 Silo3 and AX3 guitars are unique, different instruments that offer the taste, flexibility and quality of a much more expensive high end guitar.